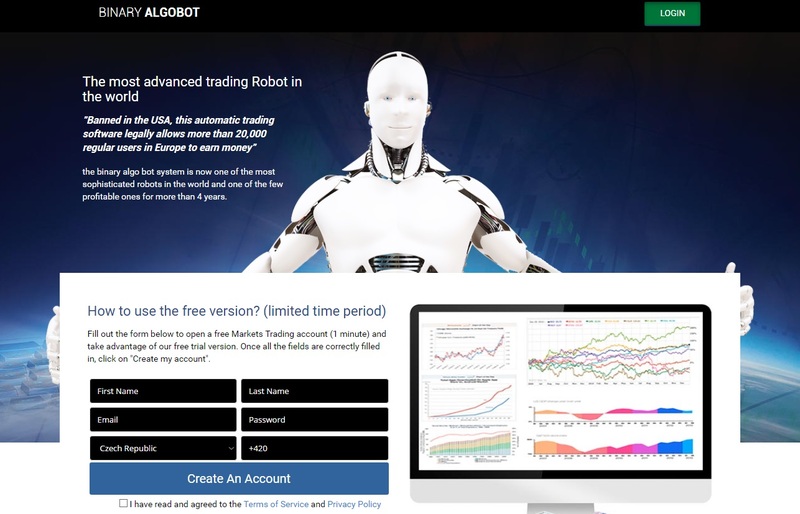 This review shows why you should not trade binary options with the Binary Algobot robot. The presentation claims that although Binary Algobot is banned in the USA, it legally allows Europeans to earn money. Every year it allegedly makes tens of percents. And now you can get this automated trading tool for free. But don’t do it! First of all let’s address the performance issue. Binary Algobot is allegedly making money to its users since 2012. But it is a lie. Because as you can see on the image, the Binary Algobot domain was registered only in 2016, so this robot exists only for one year. The performance is obviously pure fiction. The second problem is that Binary Algobot is based on the same software as Smart Simple Bot. And we know that this software is a scam, because it uses a fake demo. The demo uses fake price to generate profits that would not happen in trading with real money. People with no experience in trading might think that Binary Algobot is profitable, thanks to the demo results. But these results are not real! There is no reason for a robot not use real prices to simulate real performance, so if it uses fake prices, it is a clear scam. So why do scammers bother trying to persuade you that their free software is profitable, when it isn’t? Because if they succeed, you will probably open a trading account with one of their affiliated brokers and deposit money, which will earn them a commission for referring you. This is the real purpose of almost all binary options scams, to make you deposit with a certain broker, so that scammers earn their affiliate commission. 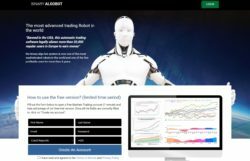 Binary Algobot is a scam that fakes demo results to make believe that it is profitable, but it is not. Stay away from it! If you want to see how binary options trading really works, try a free demo account with a regulated broker. On the demo you will see what you have to learn to start making real money in trading.